Isn’t it funny how a sound, sight or smell can transport you right back to the midst of a memory? Tegan pointed out a sign yesterday on descent (once again, Base Camp is a’coming I promise!) declaring, “Horse on hire”, remarking it should be “for”. I burst out laughing. My mind was immediately immersed in thoughts of Macy, a fellow student for my six-year-old self at Our Lady of the Rosary Primary School in Petone. Let me take you back to 1997; tartan pinafores, forest green jumpers and marble season. All the student body were fizzing around with fanny packs (yes, even the boys) bursting with bomby knockers, cateyes, pee wees and kingies. Pupils were sprawled alongn the ash felt, splayed legs housing marble winning set ups. It was almost like an adolescent casino, the takers milling about deciding where to place the odds. Enter Macy, a Fillipino girl from the other year one class. 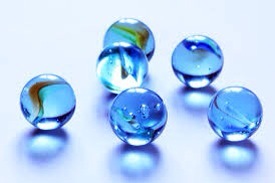 She’d placed a sky blue bomby knocker alongside a standard marble and was hollering, “Hit one, get the other.” Right-o. This was a bit of me. I went in for the kill. I nailed it first go! “No firsties,” Macy retorted to my outstretched hand. I tried to rebut her delayed conditions but she was a stubborn lass and I wanted that bomby knocker. So I extracted another marble from my fanny pack (a sapphire blue Nike affair, very cool) and lined up for round two. This time it took a few flings and flungs, but eventually I caught the curve of the smaller stone again. Now hold on. No “nicksies”? That wasn’t even a marble season rule. Macy was being a bit of a b-i-t-c-h. I’d won that blue ball fair and square. We had a few words. Things got a bit fiery. I demanded she hand over my jackpot; she steadfastly refused. I was pretty chuffed with this. I think it was the first time I’d cleverly mocked someone through their own poor phrasing. Inside I bet I was turning cartwheels and high fiving my wit. Well that blew my telling-on-the-teacher tittering away like a full force fan. I admit, I remember being at a loss for a response. Macy cackled – actually cackled – and went to zip my bomby knocker back in her bag. Uh-uh sunshine. Don’t cross the Pop. I went and told the teacher. Not on her; no, I made sure Macy realised this after she’d been scoulded and made to hand over my marble. I threw it in the air, winked at her (I still cringe at that move) and went on my way. I wonder where Macy is now? Probably in some occupation where she keeps people in line, like a prison warden. But in all seriousness, nowadays there’s Facebook to keep in contact with people from the past. But what about those ones from the younger years, like kindy and the earlier years of primary? The ones who you were desperate to go to their birthday parties, to go to their houses for a “play”? Unless you still live in the same place and continued your full schooling together, often they’re gone from your life and it’s for good. It makes me sad. I’d love to know where Macy, Briar, Patrick, all of them are now. Will I ever know? All I do know is that Macy Gray tunes are turrenting around my head. I still have both the fanny pack and the sky blue bomby knocker. Winning!